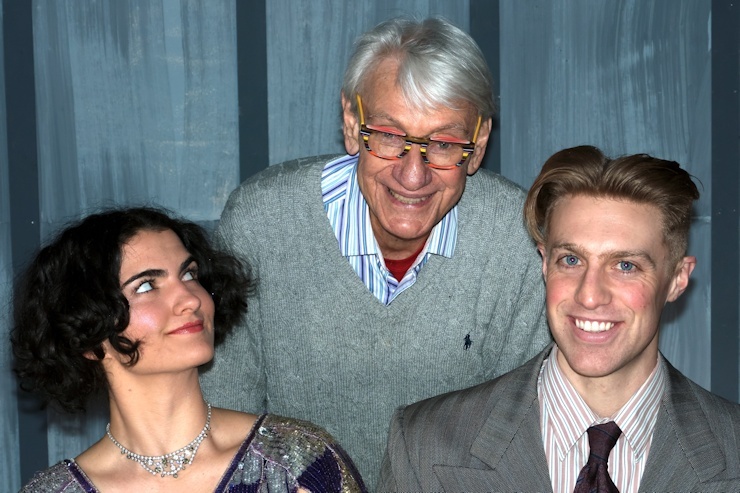 Long time West Pier resident Lance Belville has written a play about Scott and Zelda Fitzgerald, which will be presented by the Ross Valley Players April 12-28. INTERVIEWER: Mr. Belville, you wrote the play SCOTT AND ZELDA: the beautiful fools …. BELVILLE: Playing at the Ross Valley Players Fridays, Saturdays and Sundays from 12 to 28 April. Best get your $20 tickets on Brown Paper Tickets. I: Do you intend to turn this interview into a commercial for the production? B: Statistics show that 95% of the reading public reads only a lead paragraph or two . I: The late Edward Albee, a great American playwright, in one of his last interviews said, “ Don’t you know, all playwrights are liars.” How about you? B: They say buyer beware. In this case reader beware. I: Your play opens in a couple of weeks at the Ross Valley Players (RVP) barn theatre. Where in Ross is it exactly? B: About ten minutes from our floating home community as the crow flies. If you don’t know any crows willing to Uber you, it is west on Sir Francis Drake into Ross. After the first Ross stoplight take a right into the Marin Art and Garden Center, park in their lot and follow the signs up a short walk to the Barn Theatre. I: Short Walk! Barn Theatre! B: They just put in wide, comfortably re-upholstered seats with plenty of aisle room to get your booty into your seat. I: What’s your play about? B: The novelist Scott Fitzgerald and his bewitching wife, Zelda, had a wild ride of a life from early fame and riches that included partying on two continents and living the American dream until the final tragic chapter. Eight actors playing 15 roles take us on that trip. B: Hell no. Along the way we enjoy the antics of Groucho Marx. There’s Ernest Hemingway as a hell–for-leather young man. The publishing genus Max Perkins; Harold Ober, who handled four Nobel Prize for Literature winners. There’s Sheilah Graham, the Hollywood gossip columnist of some or our youths, Fitzgerald’s last joyful dalliance. B: Scott Fitzgerald had a few but through it all the love of his life to the very end was Zelda, through all her nightmares with insanity. He was devoted to his daughter, Scottie, as well. I: And Lynn Lohr is directing. B: She’s a West Kappas Pier Dockrat just like me. In fact, she’s my wife. AND the toughest damned director I ever worked with. She brooks no nonsense and pacing, pacing, pacing is her mantra. Two years ago she got a play of mine from a flop in Hollywood to critical raves and sold-out houses in New York. I: Stop bragging. I’m running out of space here. Give me an overview. B: The play dances us through the American Dream with Scott Fitzgerald who finds his way to writing in it. But the pressure of the American culture demands that everyone must keep up economically and socially and that takes a toll on one’s love, one’s life, one’s ambitions and the compromises required to achieve them. The Fitzgeralds’ story is the American story writ large and played hard. But in a certain sense it is all our stories. He only ever wanted to be a great novelist. He got there suddenly and spectacularly. After he lost it Scott tried to get back through short stories and Hollywood scripts. I: He ever get back? B: You’ll have to buy a ticket and come see.